Happy March 22, beginning of the Season of Sacrifice and number giver to Skull and Bones. Let's dive into the mystery of 322/223 and its Gematria. As Mark Passio was teaching in What on Earth is Happening EP. 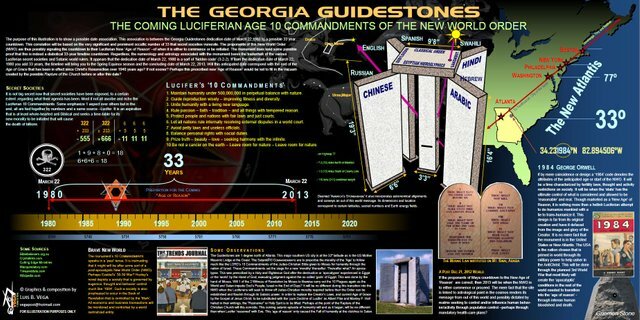 202, we learned that March 22 symbolizes the rise of Lucifer, the light bearer. The Sun enters the sign of Aries and is rising towards the Tropic of Cancer again, resulting in longer days and hence more light. I highly suggest to check out Mark's video but I also add a screenshot from his presentation. The Season of Sacrifice is a time period between March 22 (unofficial starting date is March 19) and May 1, which is Beltane or Walpurgisnacht. The dark occult use this time period for false flag events and ritualistic murders. Mark created a list of events that fell into that time span. I don't even know where to start whit this one. The infamous fraternity from Yale, which housed both president George H W Bush as well as George W Bush. Their logo is the pirate flag with the number 322. The rabbit hole goes deep and I don't want to list all the things these people did and the occult practices they are connected to. They are just one of many secret societies but are very powerful and deeply connected to 9/11 and the luciferian agenda. Here is a great info graphic about them, by http://www.postscripts.org/. They like Geometry, Numerology and Gematria. Papa Bush died with a firework of number correlations on November 30, 2018. Gematria researcher Zachary Hubbard has still his most viewed video about the death and connections of George H W.
Today, March 22, George H W Bush is dead 3 months and 22 days. The infamous Georgia Guidestone were created on March 22, 1980. Let's list a bunch of different words and phrases that equal 322. I am not saying, that any of these words are connected to Skull and Bones or any sinister plot, they simply are what they are. However, I do suspect the English language to be heavily influenced by the King James Bible, which was a masonic master piece for Gematria and is connected to Francis Bacon, a riddle that I have not unraveled yet. San Francisco and St Franicis of Assisi are very much connected to the August 11 Riddle. The Lion's Gate is the heliacal rising of Sirius, the Dog Star, also associated with Satan. This phenomenon is visible from San Francisco on August 8 (8/8). All these teachings of Astrology, Alchemy, Numerology, Magic, Kabbalah and so derive from ancient teachings. They are deeply connected to the Torah, the Bible and the Quran. Ozzy Osborne wrote the 666 song Mr Crowley. Genesis 3:22 (KJV) says: "And the LORD God said, Behold, the man is become as one of us, to know good and evil: and now, lest he put forth his hand, and take also of the tree of life, and eat, and live for ever:" If we take the first sentence that is highlighted, it equals 322. And even the 'God of Isarel' shares the same number. Aleister Crowley magick likes The "Occult Law of Reversal". And Skull and Bones have Crowley's fingerprints all over the place. 322 reversed is 223. And here Gematria doesn't disappoint either. The 'False Jews' are mentioned in Revelation and Skull and Bones and many other of the secret societies are using Kabbalah, Jewish mysticism, for their occult agenda. However, whether born Jew or not, these people have nothing to do with the Jewish religion any more. They are wearing the mantle of Satan. Mentioned together with the Synagogue of Satan in Revelation is Philadelphia. The devious HAARP technology equals 223. The recent New Zealand shooting was done by a 'White Supremacist', wearing the 'Sigil of the Black Sun' with the Nazi Sig rune and the first mosque was on house number 223a. The Simpsons are known for their predictive programming. Their inventor Matt Groening shares the 223. The battleground states are always where the presidents rise and fall and give a false sense of freedom and democracy, although both candidates are usually part of the same Cabal(ah). The Golden Gate Bridge in San Francisco is something we have our eye on, particularly with the August 11 Riddle, which is the 223rd day of the year. And Remote Viewing is a CIA developed technique to sense past and future events through highly trained individuals. Fitting, as Papa Bush was head of the CIA for about a year and backed right-wing military dictatorships through Operation Condor. Check out my article about remote viewing 9/11. Of course, in regards to August 11 we cannot ignore the 'Natural Disaster' puzzle piece. And all of this knowledge is taught by the Freemasons and is very much 'masonic'. "Here is wisdom. Let him that hath understanding count the number of the beast: for it is the number of a man; and his number is Six hundred threescore and six." In a long series, me and other people have talked about August 11, 2019. It is a day with a list of synchronicities from here to Sirius. In regards to this article, August 11 is the 223rd day of the year. George H W Bush will be dead for 8 months and 11 days on the Eve of Tisha B'Av, August 10-11, the mourning of the destruction of the first and second temple of Jerusalem, the Jewish 9/11 (literally, as it was the Ninth day of the 11th month in the Hebrew calendar). The first San Francisco settlement will turn 88,888 days old and the Franciscans will be in their 811th year. San Francisco represents the Golden Gate of Horus, New York the Silver Gate of Isis. Much more about that in my previous articles. There is always more. These people spend their entire lifes to weave these riddles, create Enochian magic sigils and then destroy them to release the spell and harness the energy. Just like 9/11. We have to be aware of their practices and share this knowledge and built it up together. If 8/11 will actually happen, then we have enough to wake up many more people. Because we are many. They are few. SYNCHRONICITY! Yesterday, @barge asked me if I knew you. I immidiately started following you, @flauwy. This morning I woke up to a notification by @ginabot. mainsteem? You mean those whales flagging each other? Or those who repeat the same patterns global economy does? : P I don't know who you're referring to, anyways I love numerology! Incredible work @flauwy... this is true investigative journalism at its finest. The truth is stranger than fiction and this is more fascinating than any fiction I’ve ever encountered. Thank you for your time, effort, and care in crafting such compelling articles. Blessings hermano. wow!!! This is epic!!! I dunno what else to say!!! awesome post!! !